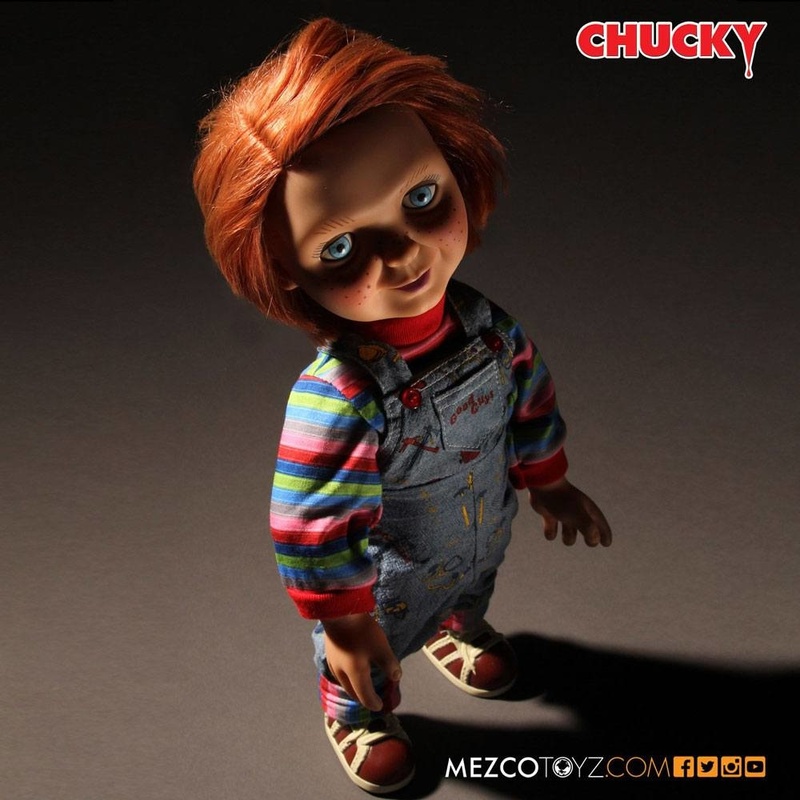 We continue our popular line of Chucky collectibles with the one that started it all: the Good Guys doll. 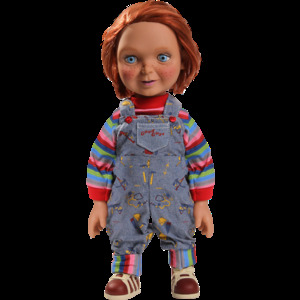 Before he became possessed by the Spirit of Charles Lee Ray a serial killer better known as "The Lakeshore Strangler" Chucky was just a harmless Good Guys doll. 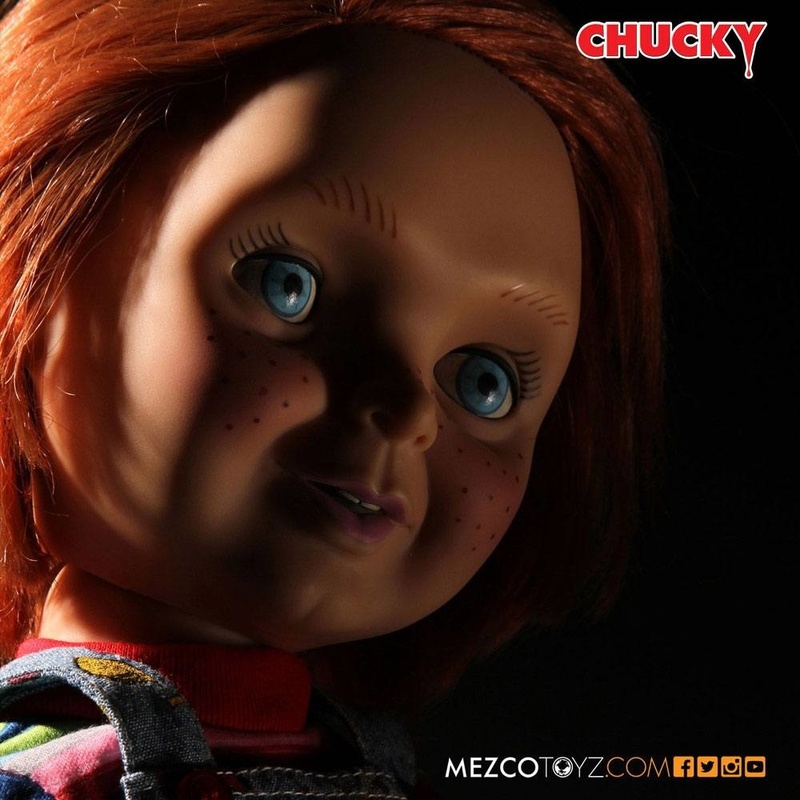 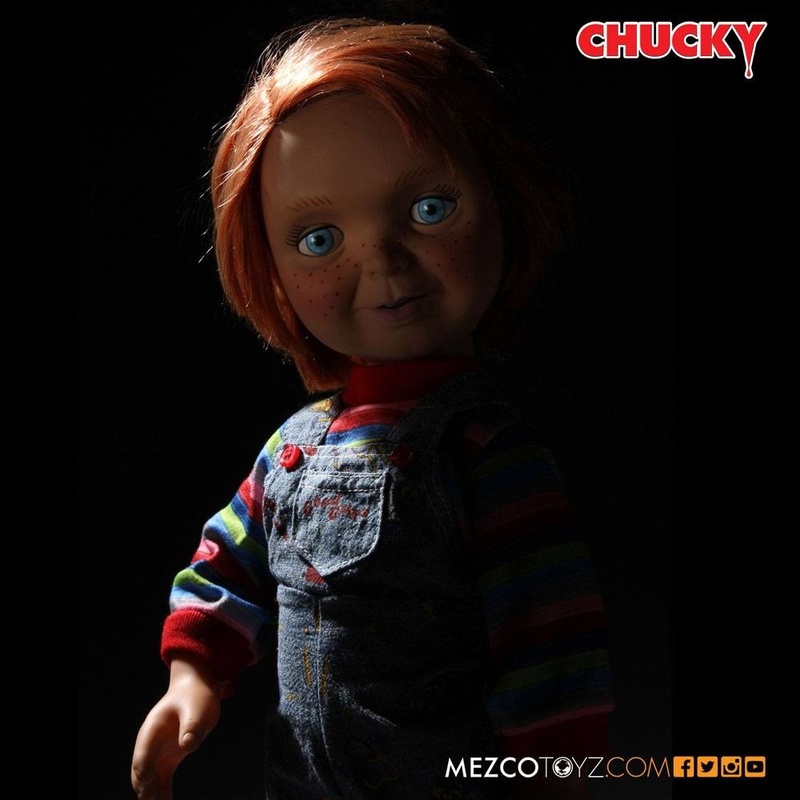 His face not yet scarred, his clothes not yet bloodied, Chucky appears cheerful and ready for fun. 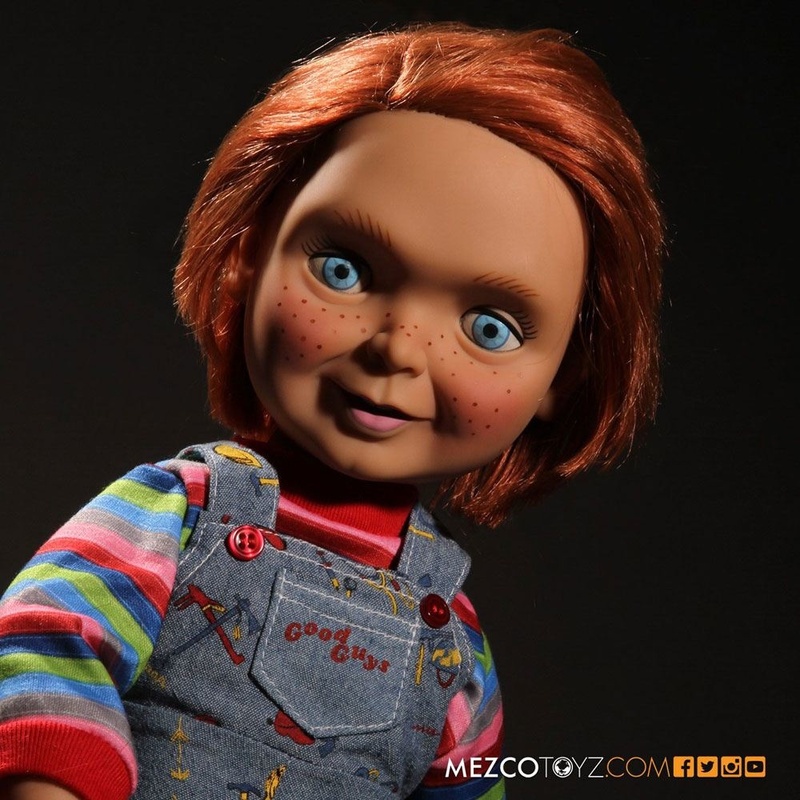 Our designers have created an all new head sculpt that perfectly captures his look in the popular film series, including his bright red hair, his wide-eyed innocence, and his cheerful smile. 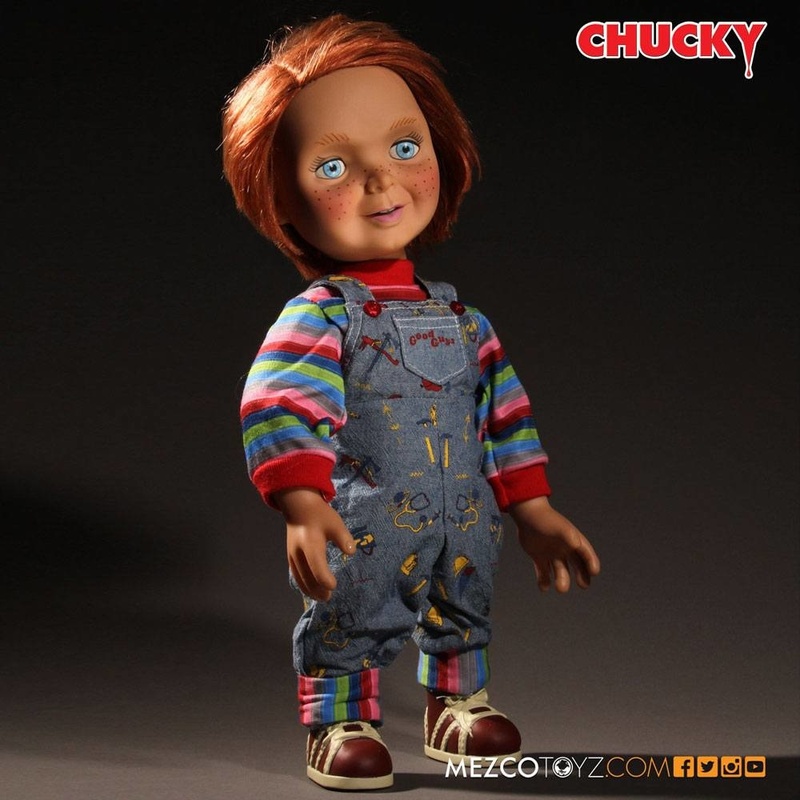 Every detail of his iconic outfit has been replicated, from his classic coveralls and shirt to the unique imprint of the soles on his sneakers. 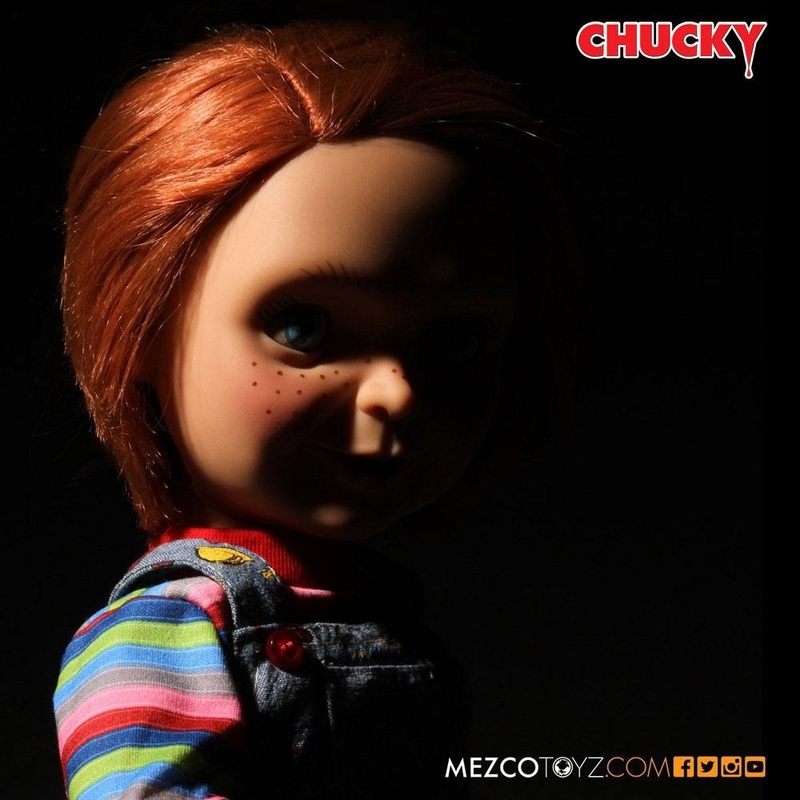 Just as he did in the films, Chucky speaks 4 movie-accurate phrases when you activate the discreetly placed button on his back. 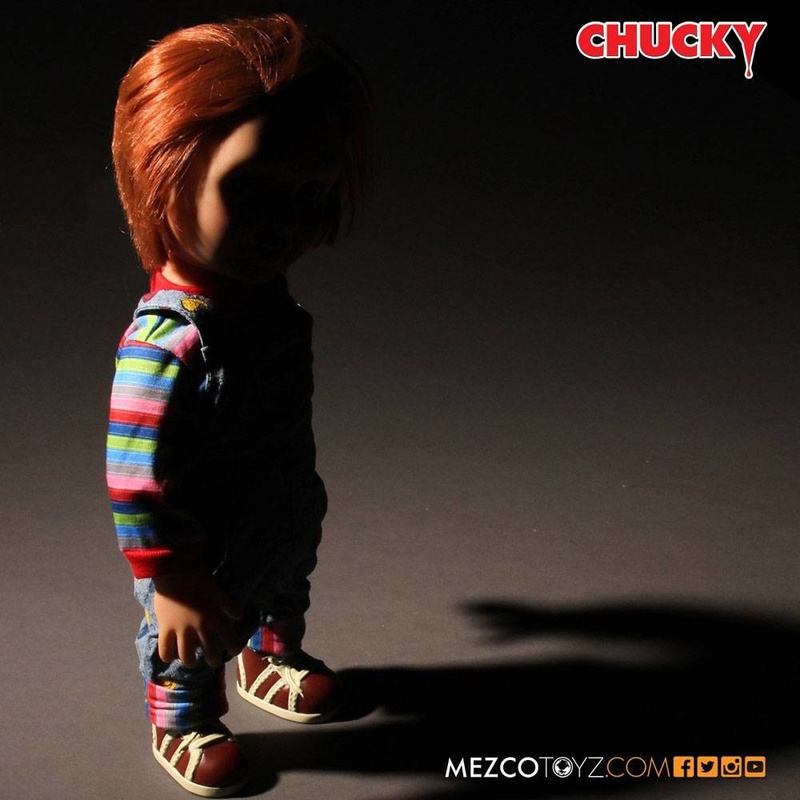 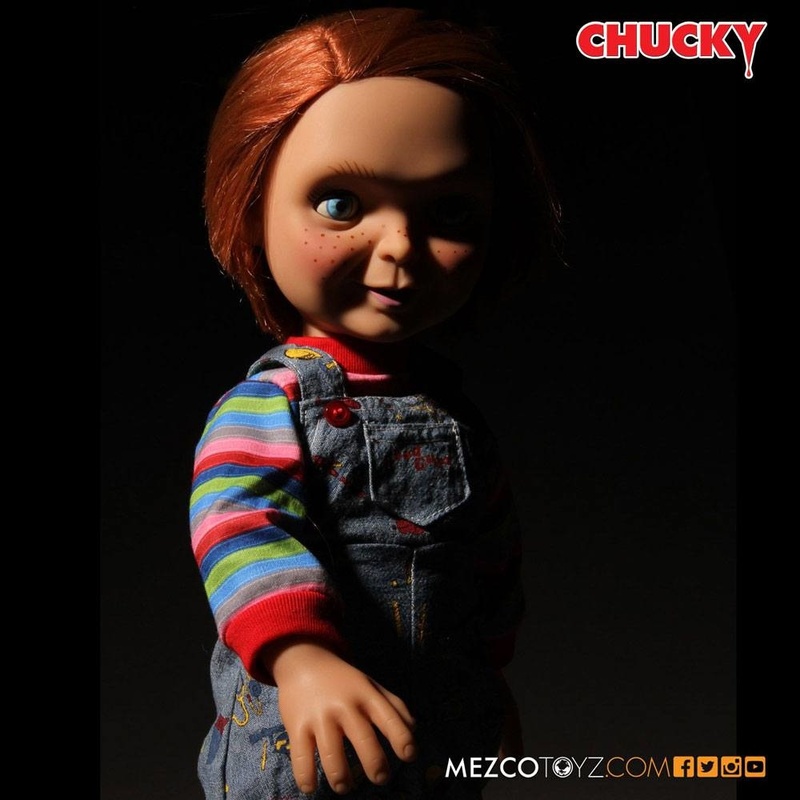 Packaged in a sturdy, collector-friendly die-cut window box inspired by the packaging seen in the films, the Good Guys 15 inches Chucky doll is sure to become a focal point of any Chucky collection.